Additional information is contained in the book "Memorials of The Sidneys and The Woolletts" where there is a chapter about John Woollett, husband of Amelia. The book may be viewed as a pdf by clicking here or from the main Woollett front page. The chapter about John Woollett starts on page 33. Amelia Vaughan Jones married John Mary Woollett on 8th August 1844. Amelia was the only daughter of James Jones, a protestant, and it had been with some difficulty that the young couple had persuaded him to give them his blessing for her union with a 'Papist'. Ironically, Amelia's grandparents, Mr. And Mrs. Thomas Vaughan of St. Andrew's Parish, Clifton, Gloucestershire had been Roman Catholics. Thomas Vaughan had converted his wife, but died, leaving his widow with four small children. Her Protestant brother offered to educate her children, and to give her a pension if she would renounce her faith. One can imagine the dilemma of this poor woman who was forced to give up her faith to save her children from poverty and destitution. Esther, named after her mother, married an Irish Catholic and lived in Ireland. There was also a son, a Major John Vaughan of Ft. Williams, India, who allegedly sent gifts home for Amelia, his niece and godchild, but which were lost with the ship at sea. Amelia had an aunt, who was very dear to her and also quite wealthy, who wrote to her that if she ever became a Papist never to darken her doors again, and Sidney remembered his mother's angelic face as she told the story ending with, "Of course I never did" Sidney said of his mother Amelia that she often made excuses for his misdeeds, and would say to him, "Dear Sidney, it is my fault you think so, or do so and so - you were born of a poor Protestant mother." Amelia's mother, Mary Ann Vaughan, was educated as a Protestant. She married James Jones in 1816. 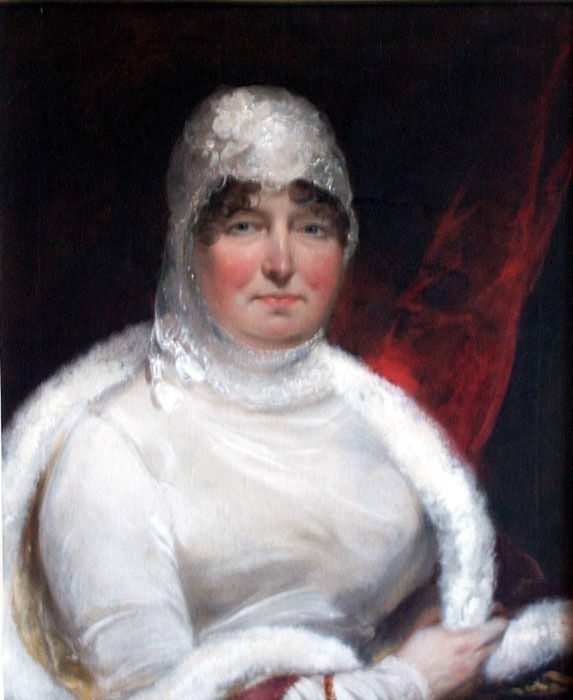 She brought with her to the marriage the portrait of her mother, Esther Vaughan, and a portrait of her brother Major John Vaughan painted in the style of Benjamin West. "DEATHS: On 21st inst at Teddington, John Vaughan, age 65 late of Bengal Civil Service." Mary Ann Vaughan Jones was always delicate and only two of her children survived. She, herself, died in 1830, aged 36. Amelia remembered distinctly being awoken one night by her mother's illness; she slept in her mother's room. The confidential servant Mary Noble lifted her out of bed and carried her to another room and she never saw her mother again. Her father had been away on Admiralty business, and was away from home at the time of her death. Before her mother's funeral, Amelia saw a carriage and pair drive up to the front door, and a lady got out and came into the house. Mary Noble went to her, and after a time the lady went out and drove away again. It was not until years later that Mary Noble told Amelia that the lady was her aunt and a Papist, her mother's sister Esther from Ireland, and that she had come to beg to be allowed to take charge of the motherless girl. The request was evidently refused and Amelia's father turned to his Protestant sisters in Rochester for help. James Jones' sister, Elizabeth Jones, had married Reverend Ambrose and had a sickly daughter called Elizabeth. His other sister Susan had married Reverend Warner and had several boys. Amelia remembered her father taking her to London, and then by coach to Gloucester to her uncle, the Reverend Ambrose, to be educated with her cousin Elizabeth. Amelia was ten or twelve years old at that time and she remained there until she was grown up. Her brother Daniel aged five, was sent to school in London, and the children were separated for almost six years. Sometimes she went to play with her boy cousins, the young Warners, during the time she lived with her uncle and aunt. She was devoted to her cousin Elizabeth who was subject to fits and somnambulism (sleepwalking). When Amelia returned home she was delighted to see her little brother again. The brother and sister were devoted to each other, both were very musical and they used to play the guitar and sing together. When Amelia married John Woollett in 1844, her brother Daniel lived with the family, together with Amelia's uncle Thomas Jones. Dan died 10 February 1846 at the age of twenty-one. Sidney remembered his uncle Thomas as a kindly old bachelor, and had been anxious to preserve his good will, he remembered how he loved to take hold of his big red ears. "Early one morning for some little misdeed, the nature of which I do not remember, my mother punished me in the little square walled garden, and the anguish and distress I felt sitting in my high chair at the breakfast table, and the fear I had that my mother would relate the incident when my uncle came down to table. What fault I had committed I do not think I then knew, nor ever remembered, but I never forgot the fear of being shamed before my dear Uncle Jones. I could not eat my breakfast dreading the terrible revelation that my mother might possibly make to him. This dear old uncle would take me out with him on his walks, have my little hand take hold of his stick, and once he bought me a tiny little stick for me to walk with, but it was too long for I was still a tot. Then he took me to the shop to have it shortened and I walked back with him very proudly." Sidney used to sleep in the same room with his uncle in order to call his mother should the old man need anything during the night, and once Sidney was awakened from a sound sleep to wake his mother up to get the old man a sandwich. Uncle Jones died at the house in Kensington about 1850 when Sidney was five years old. Amelia was the sole benefactor of her uncle Thomas's will, and her brother Daniel's share of his father's estate came to her on his death. Amelia also inherited from her uncle James Vaughan who died unmarried in 1847. Amelia's grandfather Thomas Jones Senior was born 1750 at St. Nicholas, Old Parish, Deptford, a river port, and he became a shipwright. He married Elizabeth Oliver, a minor aged 20 years, of Deptford, Kent on 20 May 1777 at the New Church, Deptford. They had five children; the last of which was James Jones, born 20 May 1788 at 3 o'clock in the morning. 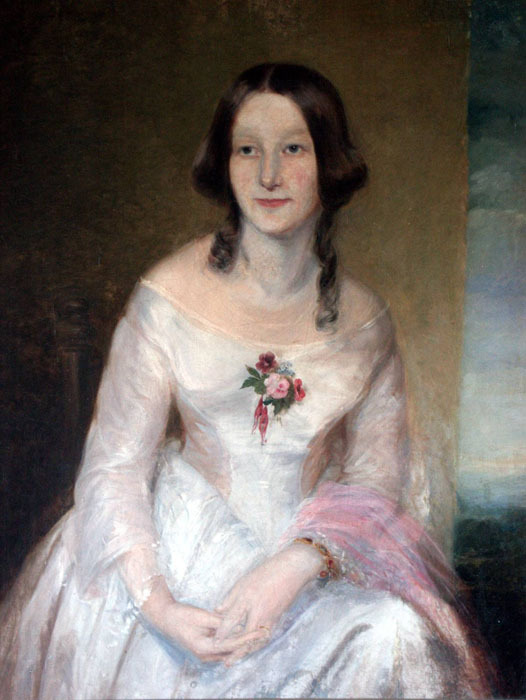 Elizabeth Oliver Jones, Amelia's grandmother was born in 1759 and was the daughter of James Oliver and Susanna Thompson. James Oliver had left his wife and baby for America in 1761, and never returned. Susanna Thompson Oliver died in 1765 leaving Elizabeth, her only child just six years of age, to be raised by her grandmother Elizabeth Bowers Thompson. Years later, after Elizabeth Oliver had married Thomas Jones, much to her surprise, she received a letter from her long absent father who was still living in America. Time will not permit me writing along narrative of what has happened to me in the course of 21 years absence from you. Your dear Mamma's last letter was dated February 1765 and on the 1st June following I received a letter from cousin Miles Bower advising me of your Mamma's death after a short sickness of eleven days, the King's Birthday, to people in general a Day of Festivity and Joy, but to me the most melancholy I ever saw and at a time when I expected to hear of an invitation to return home and which I then longed for and do now; could it be done with propriety. Doubtless you have heard of my second marriage the whole of which was between 4 and 5 years, for about three years of this time very happy and agreeable but the latter part of her life, say near two years, your poor father suffered greatly. I must defer sending that for the present. A sheet of paper could scarcely contain half the particulars wrote ever so concisely and since her death two great misfortunes befell me. The first of which was about 3 months after she died, I had an invitation to go and live in the country about sixty miles from town. I went to see the place and found it well furnished with goods and bedding and I owed my landlord only one rent. When I returned my Landlord was run away and his goods and mine were all sold to pay his house rent. I only found in my room an old chest with old letters of my father and sister's and so that I had nothing remaining but a few things I took with me when I went into the country say one small chest that your grandmamma gave me and two suits of clothes. The other misfortune I will just give you a hint of was in may 1779 when the English were marching through the country we were informed that straggling parties plundered as they came along. I was advised to hide my clothes, watch and everything valuable that I had and the family I lived with did the same. However, the person I entrusted my things with carried off all my effects and joined the English army, and I have heard since that the villain is dead. I as left more destitute this latter time than the former. The first of these happened about nine years ago say about the year 1772. Should I ever have the comfort and satisfaction of seeing you I have numberless incidents to relate to you, which cannot be done by writing on account of expense. I desire you will make my best respects to Mr. Jones and your children and accept the same yourself. Your ever-loving and affectionate father, James Oliver. p.s. I beg you or Mr. Jones will write to me frequently, when sweet peace comes I expect we may carry on an advantageous correspondence. That was the last anyone heard of James Oliver. Elizabeth Oliver Jones, his daughter died at Old Street House in Blakeney, Gloucester on 26 December 1806, and was buried in the parish of Awre. It was fitting that she be buried in Awre because since the 17th Century the patronage of the living at Awre had been in the hands of the Haberdasher Company, and Elizabeth Oliver came from a long line of wealthy Haberdashers. The Haberdasher Guild goes back to the days of armoured knights. They began life in London making clothing to be worn under suits of armour. Armour must have been uncomfortable to wear, and the soft and padded undergarments were a vital part of comfort. The craft guilds of which there were many hundreds formed themselves into companies for the protection and promotion of their trades, and eventually became both very rich and influential especially in the city of London which was the great banking and commercial centre. Of the twelve great guilds, the Haberdashers were 8th in seniority. They had a magnificent Hall, which was later destroyed in the London Blitz during the Second World War. With their wealth, the Guilds turned to philanthropic work and there ware many schools, which began as Haberdasher foundations. They also became interested in the Church and their way of exerting influence was to buy avowsons and patronage of a church, which then meant that they could appoint a parson or minister of their choice to the parish. St. Andrew's in Awre being a medieval church and in very rich farmland along the Severn flood plain would have been of interest to the London Guild. The benefit to the Haberdashers is now zero but the Company even today likes to take an interest in the parish, which they support financially. It was Haberdasher wealth, which enabled the Jones to live comfortably in Awre, but Thomas Jones may have been a close-mouthed fellow who never discussed his wife's fortune with his two sons. In 1703, John Thompson, a haberdasher in Manchester England made a Will. He had two sons both haberdashers, and two daughters married to haberdashers. There were nine grandchildren; John Thompson left his children, and each of his grandchildren an equal amount. He appointed Michael Pinlott, William Thompson and Robert Alexander, Gentlemen, executors of his will, and then presumably he died in peace. 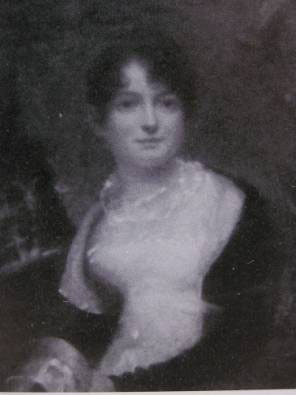 Thomas Jones's wife, Elizabeth Oliver inherited the Haberdasher money through her mother Susanna Thompson. 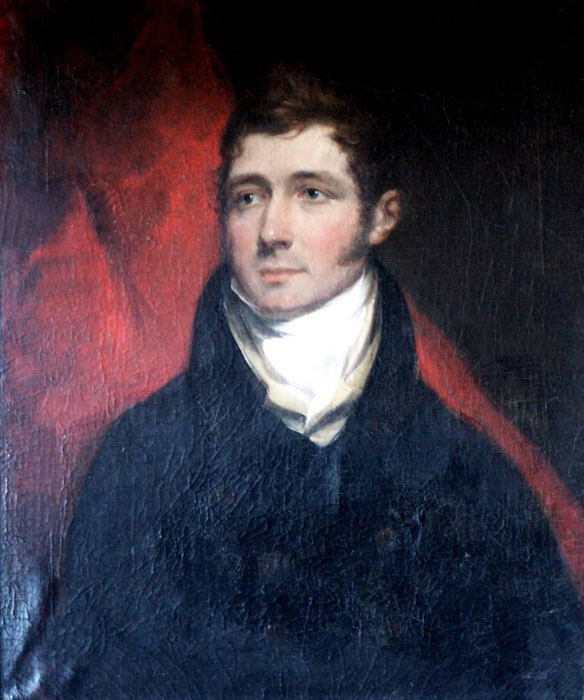 Thomas Jones left Deptford on the death of his wife Elizabeth, and enjoyed the income of his wife's estate until he died in 1830 when it was divided between his four children. This enabled his son, James Jones, to live modestly in his retirement in Camberwell. James Jones, now aged 27, bachelor of the Parish of Saint Mary, Lambeth in the county of Surrey, married Mary Ann Vaughan of the Parish of St. Andrews, Clifton in the County of Gloucester in 1815. The day after my arrival here I had the pleasure of hearing that the order of Counsel for our salaries had arrived and yesterday evening I ascertained with others for the first time its extent, and that after the 20th May 1816 (my birthday) I shall be entitled to �160 a year and every birthday after another increase of �10, till I arrive at �300 a year when if I am approved of by the board I enter into another class to �500 a year, and then another approbation is necessary from 5 to �800 a year. Thus as I have now �120 - �40 a year in addition is a pretty increase I think, and I assure you I feel grateful to that providence who has promised that "according to our day so shall our strength be." My dear Mary Ann I am happy to say continues to mend. I took possession of my house in Park Street last Wednesday evening, made a good fire, aired the sheets and blankets, and slept as comfortably as if I were in a palace. I truly prove that 'man wants but little here below' for I only have a quart of milk in for my breakfast and supper, and with the assistance of the baker those two meals are soon dispatched which are only necessary, as I take mostly an excellent beef steak (which I prefer to anything else) and a pint of Porter the best of both in London about 6 o'clock when I return to my pretty "Cottage recluse". I read till my supper of milk and go to bed, after which I arise about 7 o'clock. This morn I had cold work in receiving half a caldron of coals (which cost 30) in and fortunate I shall be in having got them in, for if this severe weather continues I should hardly be able to get them at all in a short time, and that at a most exorbitant price, as they have been raised considerably since I ordered them. Mr. Robilliard was so kind as to get a young man who was under obligation to him to sleep in the house every night during my absence and I found everything as I left them. I dined and drank tea with Mr. And Mrs. White yesterday and they desire to be kindly remembered to you. They are both quite well. I enclose your stock receipt for �26 ..5s .1d, your dividend is �18..7s..6d. As I have been at very great expense for travel, I remained at an inn for three days altogether with expense of paying for keeping the house, may I request to be allowed to keep also 10/9d which will much oblige. Their first child was announced five years after their marriage. "On Friday 11 August 1820 at half past 10 o'clock, my dear Mary Ann was safely delivered of a female infant who was christened at Camberwell church on 18 October 1820 as Amelia Vaughan Jones." Your brother and sister being at Blakeney yesterday evening when the post came in received your letter which they opened, and as Mr. W. Ambrose was at his father's he took Mary Ann's letter with him, who with the baby are both well. We had the pleasure of Miss Amelia's company yesterday for near three hours. She was very good the whole time; she has grown so you would not know her, she is the very picture of health. I wish her dear mother was as well, but she is certainly much improved and I don't doubt but in the spring she will be much better. The dear infant amused us very much as there was not an article in the parlour but what she took notice of and held out her dear little hands to take hold of them and she laughs two or three times very heartily, in short I must say she is a very amiable interesting child; and I sincerely hope the almighty will permit her to grow up to be a blessing to you both; her godfather is so fond of her that I don't know whether he will part with her.